I’ll admit it. I’m a Hallmark Christmas movie junkie. They’re terrible, but I love them. I can escape the world’s problems and drift off into a picture-perfect town filled with hot cocoa, snowball fights, tree lightings, and near-miss kisses. The Hallmark Channel’s annual Countdown to Christmas kicked off on October 27 and I’ve been hooked ever since. A little too soon? No way! If department stores and retailers can don Christmas décor before Halloween, this family-friendly cable network can head right out of the gate, at full festive speed, trees up and star on top with the season. Forget Thanksgiving. She’s like the Jan Brady of holidays – the overlooked middle child. 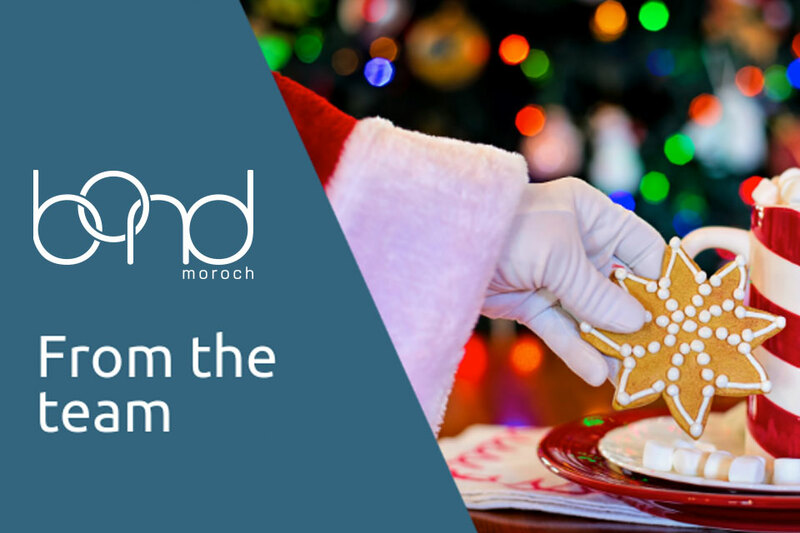 It’s all about Marcia: Christmas, Christmas, Christmas! Featuring 22 new holiday flicks this season and an intensive line-up of movies from Christmas past, Hallmark Channel has become a Christmas powerhouse. With an app (yes, I’ve downloaded it), a fantasy game (yes, I’ve looked into it), and a roster of wholesome D-list stars (yes, I’ve started following Candace Cameron Bure on Instagram), it’s a gingerbread cookie recipe for success. According to Forbes, the ratings for Hallmark Channel keep on soaring, making it an advertiser’s dream. As I’ve tuned in to watch Christmas Joy, Road to Christmas, Christmas in Love, and more Hallmark movies with generic, cheesy titles, I’ve noticed the brand partnerships have evolved and become a little more sophisticated and strategic. The out-of-place Folger’s product placements are being replaced by smart marketing initiatives such as the Hallmark Channel Radio holiday music station on Sirius XM radio. Lacey Chabert putting on her DJ hat and teeing up “Jingle Bell Rock” with an anecdote about her famous talent show scene in Mean Girls is priceless. A partnership with LEGOLAND featuring holiday experiences at locations across the country is brilliant. A collaboration with Cost Plus World Market, exclusive retailer of The Republic of Tea’s “Hallmark Channel’s Countdown to Christmas” tea, just makes sense. Advertisers like Balsam Hill pushing their holiday décor or GAP running their classic holiday dance ads are a perfect fit. NPR poses the question if the Hallmark Channel has basic cable’s most efficiently defined brand. They sure seem to have it down and that’s great for marketers. But I can’t write about the Hallmark Channel without discussing its lack of diversity. Come on Hallmark, it’s 2018, get with the program . . . literally. You’re excluding multiple groups in our population, which really isn’t in the spirit of Christmas. Plus, it’s a missed opportunity to broaden your viewership and increase advertising revenue. I was thrilled that the network’s primetime Saturday night Hallmark Hall of Fame movie, Christmas Everlasting, featured a dominant African American cast led by Tatyana Ali. It appears the network, and its sister station, Hallmark Movies & Mysteries, are taking elf steps and making a little progress by producing more movies with ethnically diverse talent. But this channel’s holiday line-up needs to evolve even further, much like its brand partnerships. With other media moguls jumping on the Christmas sleigh like Netflix, what’s next for Hallmark? We’ll have to wait and see, but until then, I’m making my list and checking it twice. Jennifer Bond is a Partner at Bond Moroch.